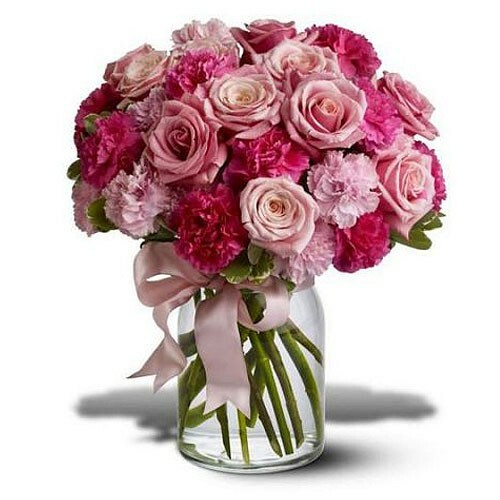 A mix of hot tones of pink roses and carnations is assorted in a clear glass vase wrapped with a pink satin ribbon. An opulent mix of roses and carnations in blushing shades of pink, gathered in a clear glass vase, is beautiful and simple! It's a beautiful choice for any occasion. Quantities 12 pink roses and 12 carnations in a clear glass vase wrapped with a pink satin ribbon.